What’s the Best Program to Remove Malware? Your computer protection against malware is determined by the malware removal tool that you will download. The malicious software removal tool doesn’t just clean the computer of viruses. It is also the primary defense of the computer against varieties of malware. Downloading the best program to remove malware is important. If the malicious software removal tool that you will install is inefficient, your computer might be at risk of malware infections. Some effects of malware infections are irreversible data loss, operating reinstallation, and unauthorized transactions. The type of malware that is proliferating today is fileless. This means that it is not dependent on an executable file. It loads in the computer memory when the user falls victim to spear phishing. If the malware removal tool doesn’t have a fileless malware defense, then your computer will be at risk of fileless malware attacks. Fileless malware is difficult to detect because it is invisible in the file system. A fileless malware infection sometimes requires an operating reinstallation. Rootkit is one example of fileless malware that can empty a bank account. The best program to remove malware has a fileless malware defense. Spear phishing protection is essential because a phishing email remains the number one cause of malware infections. A phishing email targets consumers and internal users. The best program to remove malware should have spear phishing protection to prevent a malicious email from installing an infected attachment. A drive-by-download is when a malicious website installs malicious software secretly. The installation happens behind the background, making it difficult to detect. The best program to remove malware should also have a drive-by-download detection. This prevents unintentional download. Heuristics identifies malware by its behavioral pattern. Malware has grown more sophisticated. It can change its signature to evade detection. To identify malware that provides a valid signature, the best program to remove malware should also have Heuristics. Now that we know the important features of the best program to remove malware, let’s now download a reputable malware removal tool to get rid of malware. Choosing a good anti malware software is important, because malware can infect your PC again if the anti malware software is weak. For a personal computer, you can download Comodo Anti Malware for free. Comodo Anti Malware deep scans the computer to detect malware. It destroys malware such as trojan, ransomware, spyware, viruses, and worm in no time. It uses a cloud-based platform to protect your PC against the latest threats. It is one of the best program to remove malware. For a business network, Comodo Advanced Endpoint Protection provides complete malware protection. If you download Comodo Advanced Endpoint Protection today, you can do a full malware scan on your endpoint devices. VirusScope - an advanced behavioral monitoring tool that detects harmful behavior instantly. This model is fed with good and bad software to train it in determining malicious patterns on IoT devices. Auto-Containment - is the first sandbox-based technology that is built upon Default Deny. It detects malicious software installation in the background. Thus, it prevents drive-by-download on the endpoint devices. Firewall - prevents spear phishing. It monitors network traffic to protect the endpoint devices from a phishing email infection. The data transmitted by and to the endpoint devices go through the firewall. HIPS - is a fileless malware defense system. It detects sophisticated cyber threats that get past the firewall and antivirus. HIPS constantly monitors the computer memory of the endpoint devices. Valkyrie - uses static and dynamic analysis to determine if a file is safe or malicious. It is huge database that contains the list of good and bad files. It provides a verdict in just 40 seconds. Antivirus - Comodo Antivirus is the first line of defense. It detects known threats such as trojan, spyware, viruses, worm, keylogger, and ransomware. 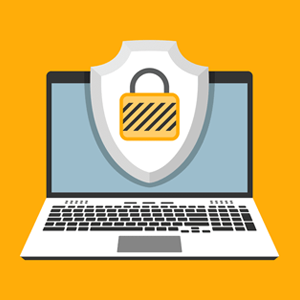 The antivirus is cloud-based to protect the endpoint devices from the latest threats, even if the software is not up-to-date. Website Filtering - allows the administrator to blacklist websites. This prevents the endpoint devices from accessing inappropriate websites. Comodo Advanced Endpoint Protection is a reliable anti malware that can clean your endpoint devices of malware. It also protect your business network from advanced cyber attacks. Contact us today for a free demo.